Orly Levy-Abekasis quits in protest of decision to abandon social issues in coalition talks, will continue as independent MK. 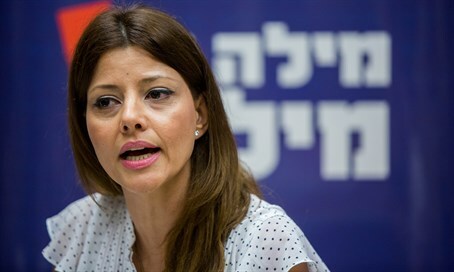 Coalition drama continues: Yisrael Beytenu MK Orly Levy-Abekasis announced her resignation from the party Thursday afternoon, accusing party leaders of abandoning social issues in their pursuit of a deal to enter the coalition government. "I have decided not to take part in the current political process, and in light of the situation, I am announcing the end of my time in Yisrael Beytenu. "I do this with my head held high, and in the full knowledge and recognition that this may create obstacles in my parliamentary work. "I am not afraid of that. I intend to work as a Member of Knesset, in accordance with my conscience and entirely for the public good." She will continue to serve as an independent MK, reducing Yisrael Beytenu's showing in the current Knesset to just five. While Yisrael Beytenu leader Avigdor Liberman appears set to receive many of his key demands - including the defense ministry, immigration and absorption ministry and a death penalty for terrorists (at least to some extent) - he has made it clear that he would not be pursuing other policies which would prove contentious with other members of the coalition, but which are also deemed important by many within his secular-nationalist base. Among the party policies Liberman said he would not be pushing in talks are demands to enforce haredi enlistment to the IDF, as well as instituting civil marriage and conversion reforms - the latter two of which are particularly important for Yisrael Beytenu's Russian immigrant voters. Liberman did however cite pensions reforms as one of his key demands during a press conference on Wednesday. No agreement has yet been reached on that issue in ongoing negotiations with the ruling Likud party.